Langermann, Tzvi Y. and Robert G. Morrison, eds. Texts in Transit: Intellectual Exchange in the Eastern Mediterranean. University Park: Pennsylvania State University Press, 2016. Morrison, Robert G. The Light of the World: Astronomy in al-Andalus Berkeley: University of California Press, 2016. Morrison, Robert G. “A Scholarly Intermediary Between the Ottoman Empire and Renaissance Europe.” Isis 105 (2014): 32-57. 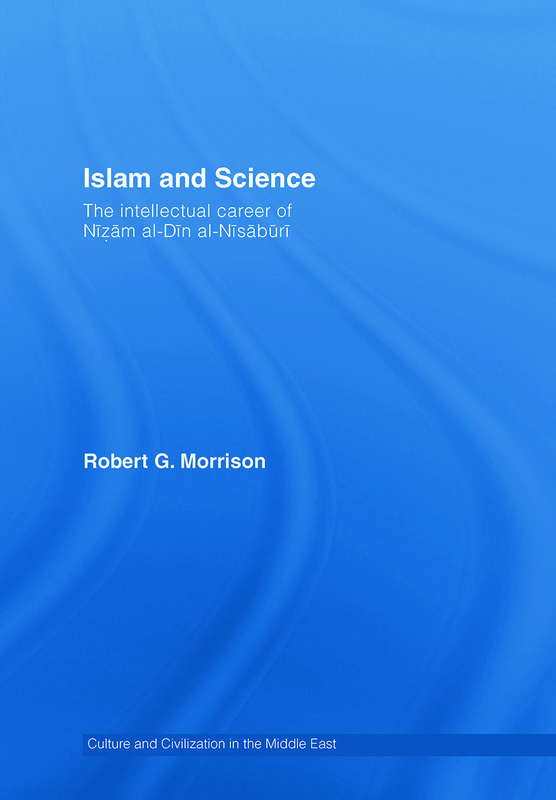 Morrison, Robert G. Islam and Science: The Intellectual Career of Nizam al-Din al Nisaburi. London: Routledge, 2011. Morrison, Robert G. “Quṭb al-Dīn al-Shīrāzī’s Hypotheses for Celestial Motions.” Journal for the History of Arabic Science 13 (2005): 21-140.